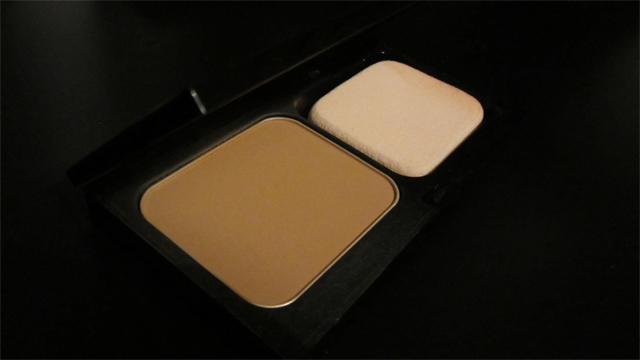 I originally bought this as due to my tan, I couldn’t use my Honey 5 compact but I love the foundation. This matches with my Bobbi Brown Natural Finish Long Lasting Foundation in Golden 6 as a finishing powder although I use it alone as a light foundation. I apply it all over my face using a powder brush for light coverage. It subtly evens out my skin tone without hiding my freckles. Although it is a matte powder, it seems to enhance my natural, youthful glow rather than hiding it or making me look grey. It is very comfortable to wear – I barely notice it. As with my review for the lighter shade, I carry the compact with me for touch ups but I hardly need to do this, maybe once during the day. The large mirror makes it easy to touch up ( and apply other make up) and I just love how soft the sponge is. When I apply it with the sponge it glides on easily like a cream but leaves a matte finish. My favourite aspect of this foundation is the versatility. I can set my liquid foundation with it either using the included sponge or with a powder brush or I can apply the powder alone using the sponge for medium coverage or a powder brush for very light coverage, usually as a base for my blusher to grip onto. Finally, and I have not tried this, it can be applied with a wet sponge for medium-high coverage. Unfortunately, this is no longer available! It has been replaced with Skin Weightless Powder Foundation. Does anyone feel like this is an improvement? The reviews are good so it’s promising!